Business managers will be, quite rightly, focused on activities such as managing employees, marketing, sales and increasing profits. These are all vital activities that affect a company’s bottom line. 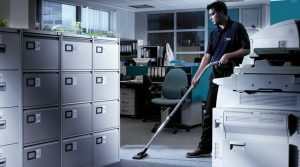 However, what most managers don’t realise is that how clean their workplace is also affects that bottom line. A dirty, unhealthy workplace results in massive hidden costs for a business. Millions of pounds and work hours are lost every year because of staff illness or injury and yet there is still a reluctance or ignorance over illness prevention, reducing absenteeism and promoting health and well-being. There is a clear link between a clean environment, a healthier workforce and increased productivity. 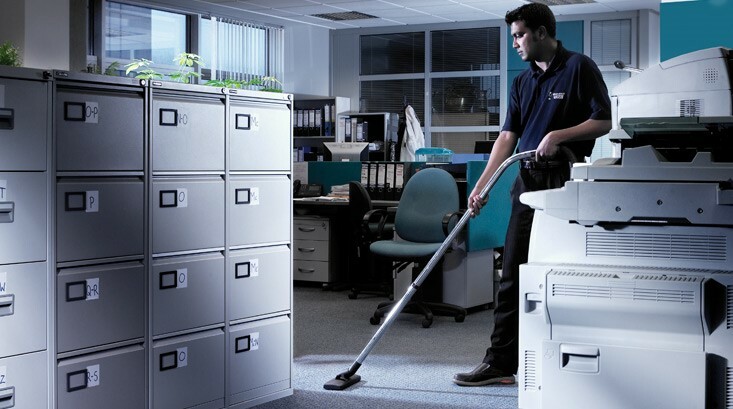 Further studies by different organisations have found that by following regular and thorough cleaning protocols that reduces dust levels has big benefits for both comfort and health. Consider the implications of a dusty environment. If staff suffer with itchy, watery eyes, a dry throat, tiredness and headaches, there will inevitably be a loss of performance. Symptoms caused by large areas of dust, for example coming from old carpets has been shown to negatively affect creative thinking, concentration, typing skills, arithmetic and logical reasoning. The same scenario is found in schools, with student performance being impacted by the cleanliness of the surroundings. It is thought that as much as 2-8% of performance can be negatively affected. Billions of pounds are lost each financial year due to workers not being present or unable to complete their normal tasks due to illness or injury. The figures are derived from the cost of salaries and estimates of time spent on the job in a reduced capacity because of illness. Therefore, research shows a clear correlation between a clean and safe work environment and the productivity of those who work there. Without even realising, companies could be suffering from absenteeism and low staff productivity as a result of a less than acceptable working environment. That is why hiring a professional cleaning company is an excellent investment. It seems so obvious that a neglected work place would lead to lower employee output, but still so many companies have not made the link. With a proper cleaning regimen in place, quality control rules and robust health and safety regulations, your business can improve its bottom line in a way you might not have imagined before.